During the record breaking launch of the Stratos II+ rocket last October, a special payload flew on-board of the rocket. 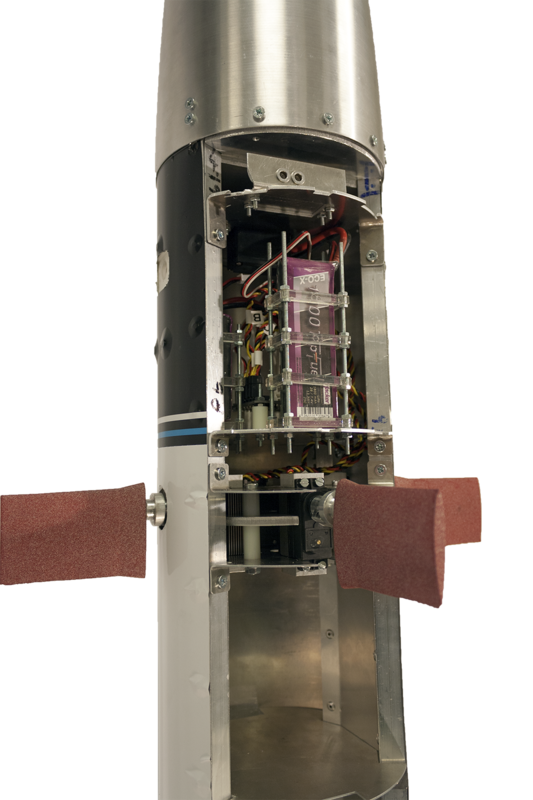 This payload proved to be very valuable for future developments within DARE especially in the field of trajectory stabilization, which is critical in our endeavor of reaching space. Within DARE, the Advanced Control Team (ACT) is the first DARE team which works on active stabilization methods for sounding rockets. The objective of the ACT is to perform baseline research in active rocket stabilization, which can be used in the future for future Stratos missions. Active control is essential when aiming for high altitudes, since this would continuously control the flight path and so minimizing the external disturbances due to the wind. Furthermore, by flying perfectly vertical the rocket shall reach higher altitudes then when it flies a ballistic trajectory, which secondly results in a minimum ground track. The latter one is important for defining the safety zone, which is easier to define if the zone is small. And so by implementing active control, the rocket could eventually fly in a safe and stabilized manner into space. The most important task of the ACT is to develop a fast and stable flight computer, which is able to measure the attitude of the rocket at all times, and to operate flight control algorithms which use the sensor data to control its attitude. Over the past years the ACT is constantly updating its flight computer design, including the sensors connected to that. 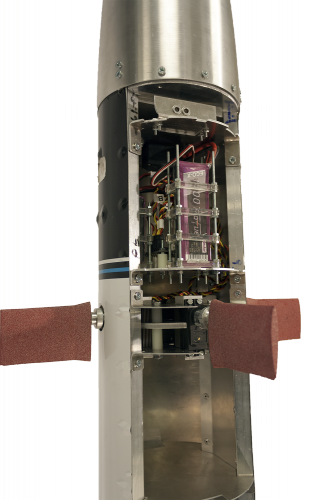 The main sensor is an Inertial Measurement Unit (IMU), which uses gyroscopes, accelerometers, and magnetometers to determine the position of the rocket. Because of the extreme flight conditions in terms of g-forces and vibrations, the ACT needs high quality sensors to measure the heading of the rocket which results in making steering corrections. The team has tested multiple sensors for flight logging and came to the conclusion that only a high quality IMU satisfies the strict requirements of the flight computer. 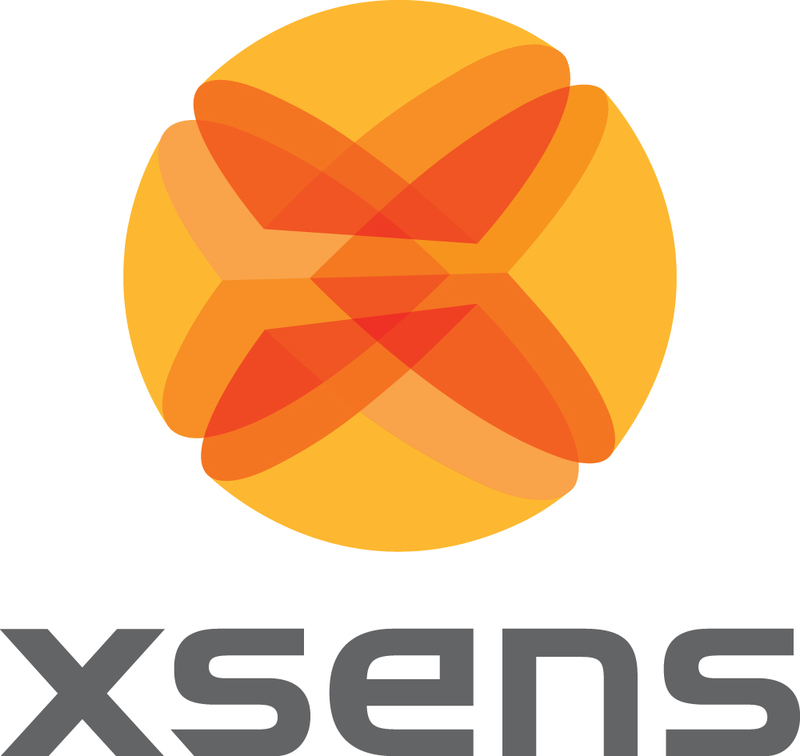 This is why we got in contact with XSENS, since we believe that their MTi-100 is perfect for the purposes of the Advanced Control Team. GPS is difficult to implement in the rockets because of the high acceleration and altitudes. Also the gravity vector cannot be used in flight and the IMU is placed in a magnetically disturbed environment. 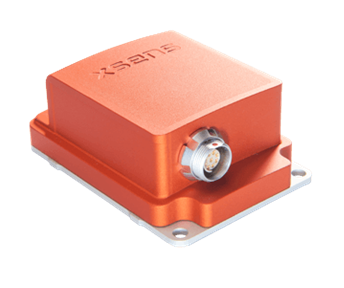 Therefore the flight control algorithms rely completely on the accelerometer and gyroscope, which emphasizes the importance of the IMU. 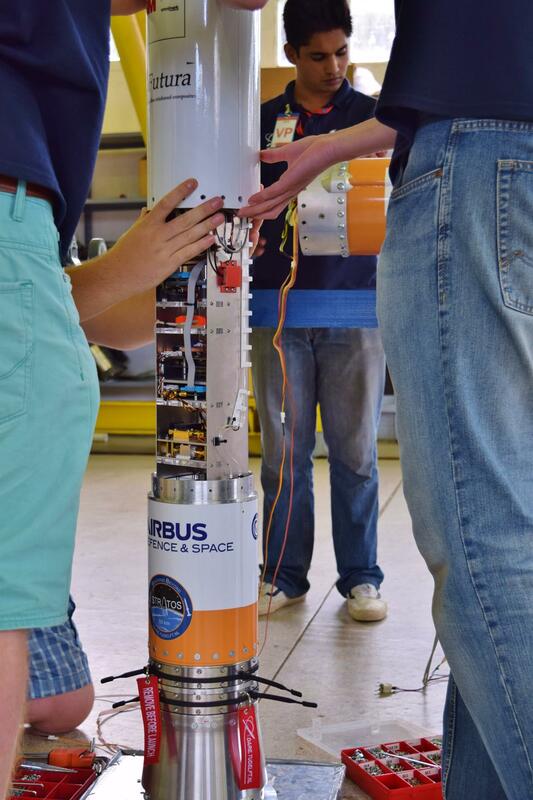 Gyro bias stability is the most important factor in this system, since reliable orientation data is needed for the flight controller to point the rocket in a favorable flight direction. The has a gyro bias stability of only 10 degrees per hour so with this sensor we should be able to have an almost perfect vertical trajectory. CanSat V7 SAS showing canards and electronics.